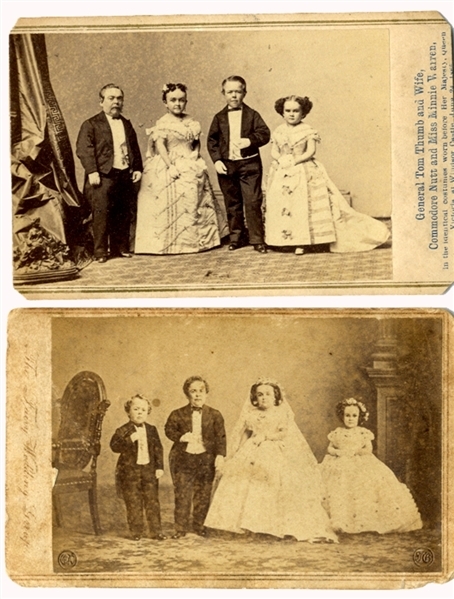 Pair of carte de visites of General Tom Thumb and wife with Commodore Nutt and Miss Minnie Warren. Anthony/Brady backmark. Very good condition.